On 12 December 2018 in Kyiv took place 6 Ukrainian-German Food Forum. The event began with the official opening of the exhibition of food products, followed by a discussion panel "German-Ukrainian Trade - Potential and Prospects for Joint Development", speeches by German and Ukrainian experts on the topic "Opportunities for Germany's Food Market in Ukraine", "The Experience of the German-Ukrainian Trade relations "and others. 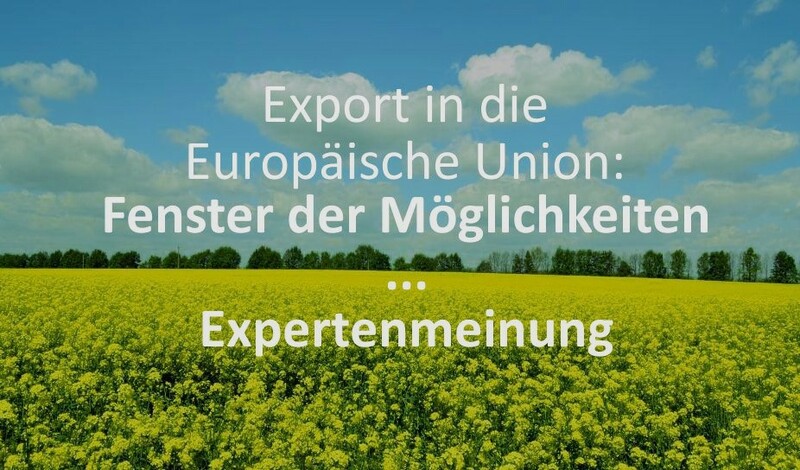 During the forum there was a presentation of Ukrainian and German companies, that participated in the exhibition, and in the end Ukrainian participants had an opportunity to ask their questions to experts from Germany. The event was supported by the UFEB (Food Export Council), the Ukrainian Chamber of Commerce and Industry, the German-Ukrainian Chamber of Commerce and Industry and with the participation of the «Monolith» group of companies and «METRO» supermarket chain.